Learn crochet and make new friends. 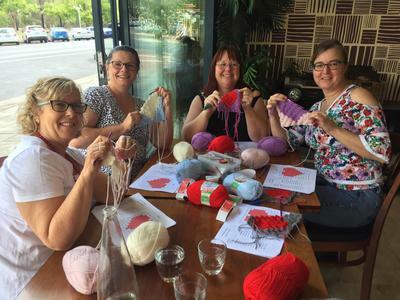 The Canberra Crochet Club organises crochet classes run by Professional Crochet Instructors for beginners, all the way up to experienced crocheters. Amigurumi is the Japanese art of crocheting small cute creatures. It's the latest craze in the crochet world! Learn step by step with our Instructors on the basics of Amigurumi and start on a easy project during the class. This class is recommended for those with basic level of crochet knowledge. Beginners Class This class is designed for those who have had little to no experience with a crochet hook. You will learn the crochet basics and terminology and we'll get you started on your very own granny square. Other Classes Perfect for those who've already done our popular Beginners Class! Amigurumi is the Japanese art of crocheting small cute creatures. It's the latest craze in the crochet world! Learn step by step with our Instructors on the basics of Amigurumi and start on a easy project during the class. All our classes include crochet materials and instruction as well as a non-alcoholic drink during the class. 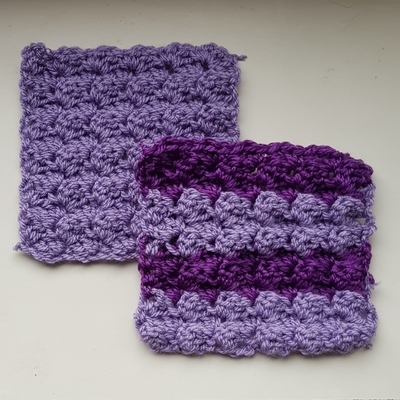 Everyone with an interest in crochet (whether you have been to a class or not) are also welcome to join our Facebook Group where you can share your crochet projects, find inspiration, make friends, and also just have a good yarn. A class dedicated for complete beginners to crochet. Learn how to slip stitch, treble crochet and more, also make your own Granny Square. Beginners will receive a Beginners Pack, which includes all your crochet materials and instructions needed to get you hooked onto crochet! Already done our beginners Granny Square class? Learn how to make 2 different types of Granny Squares: a solid square and a hexagon square in one class! This class is recommended for those with basic crochet knowledge and above. C2C is used to make creative square patterns and commonly used to make blankets. We'll take you through step by step the C2C basics and get you started on a love heart square! This class is recommended for those with basic crochet knowledge and above. Learn three types of crochet stitches in one class! In this class you will learn how to make three amazing crochet stitches; Puff, Shell and V-Stitch. This class is recommended for those with basic crochet knowledge and above. Viviana was great!! She looked after everyone. Best craft experience ever! Very impressed with the profession standard of the teacher. Also, I enjoyed the venue - it added to the relaxing, peaceful nature of the activity. It was a good introduction to the art of crochet. I learnt how easy it is.